Love and music are similar in that they're a language of their own. Music is there to express when there are no words to explain the magnificence of your love and affection. During a wedding ceremony music is a symbolic staging tool, upholding family and religious traditions while giving a deeper meaning to your wedding. Special songs will forever be engraved in your memory as an echo of your vows. A well thought out wedding music seamlessly flows from the beginning as guests arrive to ending in perfect harmony. Music will be the first impression as guest arrive on your wedding day and timing will be the secret to success. A professional musician can intertwine songs carrying the ceremony along highlighting a special meaning for each phase of the union. 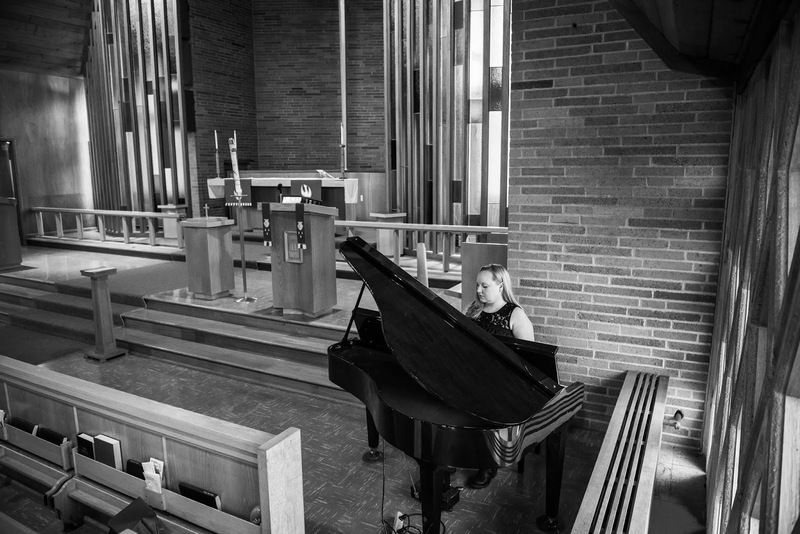 A professional musician is a key element to a remarkable wedding ceremony. Avoid poor timing and awkward silences during your ceremony by hiring a PRO! Wedding Wire is a great place to find reliable professionals. 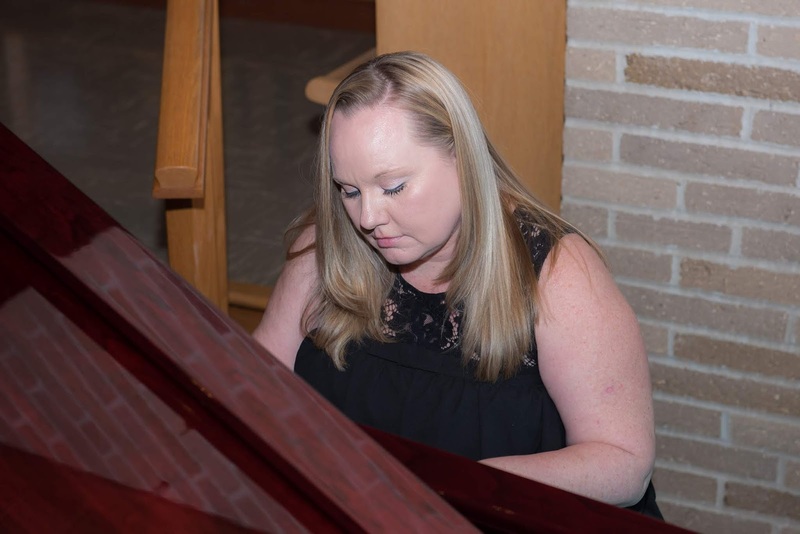 Your professional musician will be your guide to helping you select the perfect songs for your ceremony and assisting you with the order of songs so the timing is flawless on your wedding day. Your musician will be your watch keeper elegantly keeping everyone on track, in sync and on cue with each phase during your wedding ceremony. 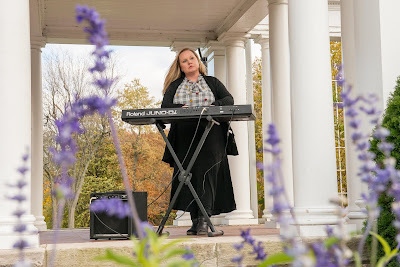 Having a professional musician is the solution to setting the tone of your entire wedding day and the guiding movement of your wedding ceremony. 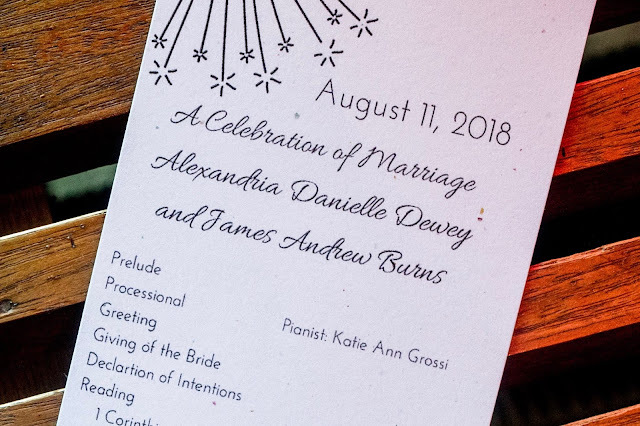 Delicate background music to set the tone generally started about a half hour before the wedding begins.You will know your first guest has arrived when your musician begins playing. 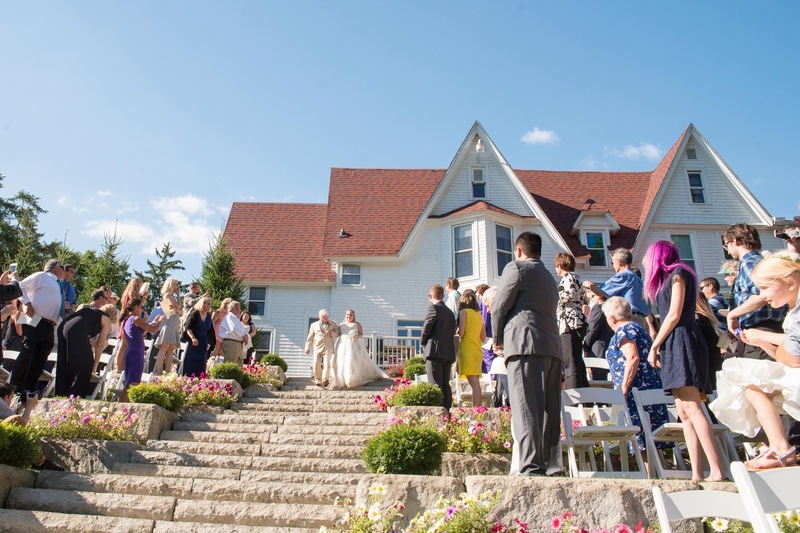 The excitement will flutter as your guests arrive overtaken by the joyful atmosphere. The music will spark soft conversations and make your guests feel welcomed and honored. Guests didn't travel near and far to have the scenario of uncomfortable silence, confusion or talking over loud music. Your prelude music should gently create a loving atmosphere while showcasing music selections that describe the union of your marriage. Modern weddings guests are welcomed with a glass of champaign to enjoy while lovely prelude music is being played before the wedding ceremony begins. 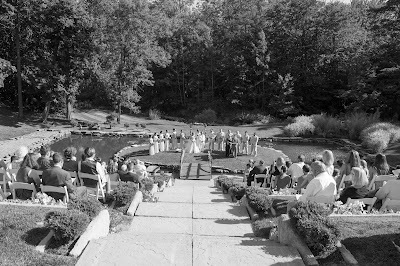 The Avanti Mansion in Hamburg, NY offers this to couples getting married in their Japanese Garden. Your musician will direct your guests attention that it's time for your wedding to begin. The processional is the grand entrance of the wedding party. Romantic rhythmic music is played as the wedding party marches down the aisle. A musician will transform time and space to adjust the music perfectly to fit your venue location, bridal party size and speed of walking so music starts and finish perfectly on cue. 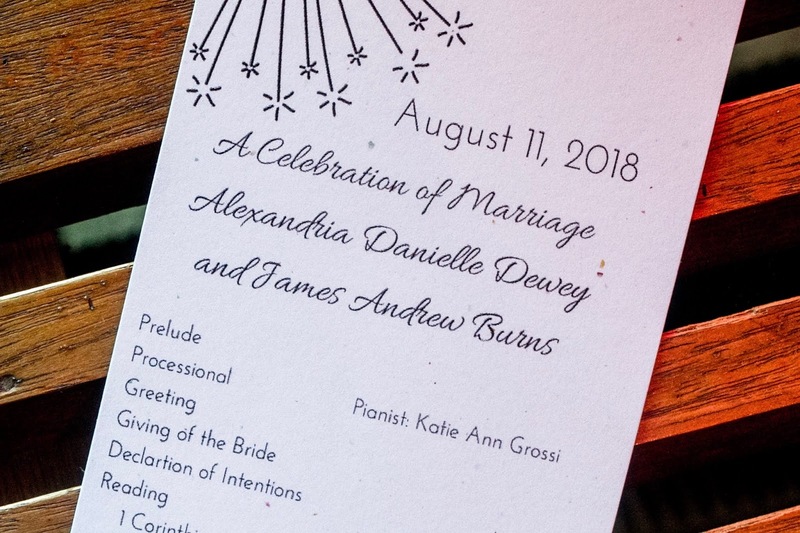 Without a musician you run into many problems like the possibility of a song awkwardly cutting off once the bride has reached the alter or running out of music by the time the bride reaches the end. But a great musician can create a medley of songs for your processional that will be perfectly synced for each section of your wedding entrance. Consider selecting a song for each of these categories and have your musician make a medley to blend each song depending on the walking pace. Usually the musician takes a dramatic brief pause before the bride enters giving guests the opportunity to stand and direct all their attention on the blushing bride making her grand entrance. This is the moment all brides dream of. Without a live musician this precious element often gets overlooked because there's nothing to guide the guests attention. A wedding rehearsal will help the timing so your musician and wedding party are on cue and in sync. Special songs played during the wedding ceremony. 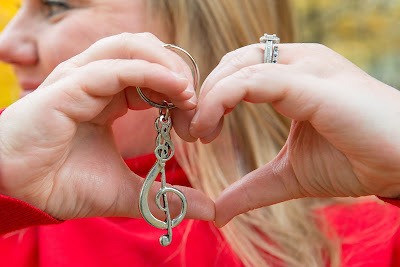 Some couples chose for no music to be played during the ceremony and can avoid a wedding rehearsal with their musician. Others request songs of meaning for the unity sand/lighting candle, communion, prayer, hymn. If you have a talented special guest or family member who sings or plays an instrument this could be a nice opportunity for a tribute song with your professional musicians assistance. Practicing together the day before at the wedding rehearsal will be ideal if you're having a special guest collaboration. If your musician is playing interlude music a rehearsal will be critical so the officiant and musician are on the same page with timing. End on a monumental note. 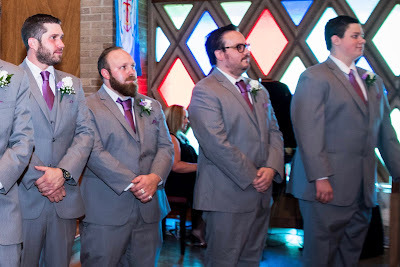 During the recessional joyful upbeat songs begin celebrating your nuptials as you exit the ceremony as husband and wife for the first time. Consider requesting your musician to play your favorite quirky song from your early dating days. A great musician can transform any song and will be willing to learn a new song if it's not already in their repertoire. 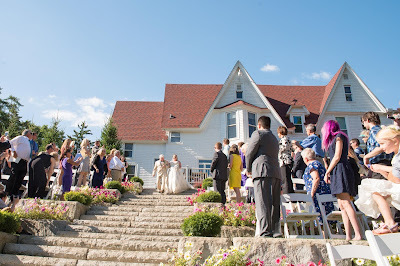 Some weddings end with a recessional line where guests exit in a line to greet the newly wed couple as they leave the ceremony venue. You may want to consider extending your recessional music so your guests aren't waiting in silence after such a blissful exit. As you can see there are many integral parts to a wedding ceremony. Having a live musician will tie your guests and the timing of your wedding ceremony seamlessly together while providing comforting music of jubilee to stylistically enhance the ambiance of your wedding. Having a live musician is a key element to having a phenomenal wedding ceremony. 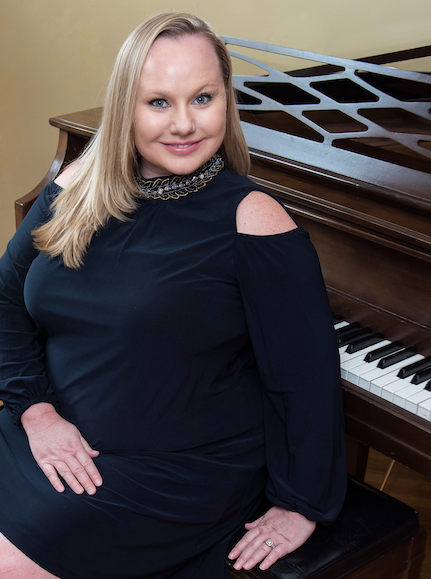 Composer of the album, Wedding Music, ASCAP member, Katie Ann, is a music producer and music artist who has successfully released many works of art through her publishing company, LK PRO. A certified member of Wedding Wire and Buffalo Bridal Association, Katie Ann is a singing pianist specializing performing weddings and other special events. 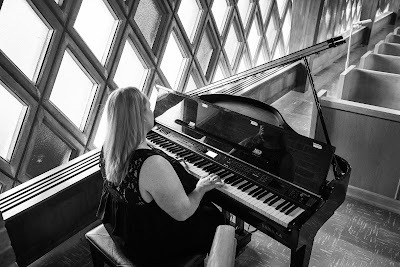 As an accomplished musician she offers voice and piano lessons to aspiring children and adults. 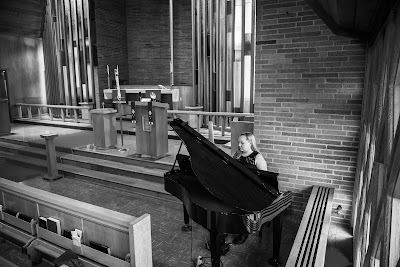 Book Katie Ann to be your wedding pianist! 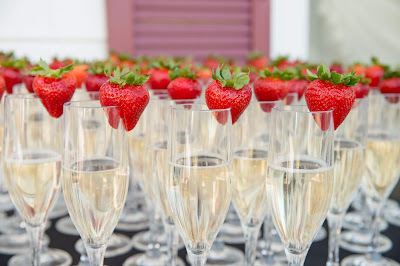 Check out this blog with 100 song suggestions for a wedding!